Popular Search Tag Cloud What is this? Sanders, James H, 75, went home to be with the Lord on January 13, 2019 at Walnut Crossing Assisted Living in Marysville, Ohio. Jim is the beloved husband of 55 years to Janet (nee Bryson) Sanders. Loving father of Michelle (Mark) Walton and Jim (Cindy) Sanders. Grandfather (Papaw) to Danielle, Christina, Rebecca, Justyn, Abby, Bryson and Cassidy. Great Grandfather (Papaw Jimmy) to McKayla, Abigail, Sunee, Charleigh, Noah, Rowyn, Bronson, Joey, Sadie, Glori and Oaklyn. Loving brother to Gail Martin, Debbie Proffit and Ron Sanders. Special brother in law to Lucien and Mary Lou Clemons. Uncle Jim held a special place in the hearts of many nieces and nephews. He was preceded in death by his parents John and Elsie (nee Sturgeon) Sanders and brother Richard W. Sanders. Jim served in the US Air Force, then went to work at the Cincinnati Milacron. 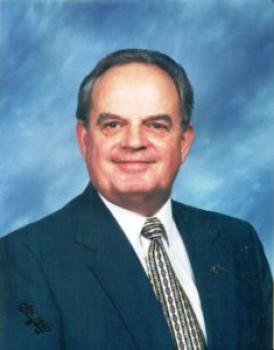 He was called to the ministry and attended Asbury College and Seminary in Wilmore, KY. He then became an ordained minister and served at the following UM churches. Pharisburg, Magnetic Springs, Malta, Cherry Grove, Williamsburg and Butlerville before retiring 25 years later. He cherished the time he spent with his family. He enjoyed fishing, rc airplanes and spending time outdoors. Visitation Thursday January 17th 10 - 11 AM. Funeral 11 AM. All at Goshen UM Church 6710 Goshen Rd. Goshen Ohio. Memorial contributions can be made to Goshen UM Church or Alzheimer's Association. Copyright © 1969 - 2019 Stofcheck-Ballinger Funeral Homes, Inc.